Prince Edward Island is the setting for Where Two Hearts Meet and I have to admit that is what first caught my attention. After all I am a big fan of the Anne of Green Gables Series so naturally I wanted another glimpse of this beloved place. It takes more than a lovely setting, however, for a book to hold its own. The characters need to come alive and resonate with the reader. Caden Holt is the heroine of our story and like many who we encounter in our lives, she could be just that sweet shy young lady who is a fantastic cook. She is so much more as Adam Jacobs discovers when he arrives at her kitchen door. Adam is a journalist on sabbatical and is mistaken for the promised visitor from a renowned travel magazine that could fill up the inn for the next year. Caden is charged by her boss Marie to show Adam the island and all its charms. The problem is, Caden doesn't feel she has any charm to charm the journalist. This is the first time I have read a book written by Liz Johnson. I received my copy from Revell to provide an honest review and honestly, this was a good story for the message as well as the wonderful characters. 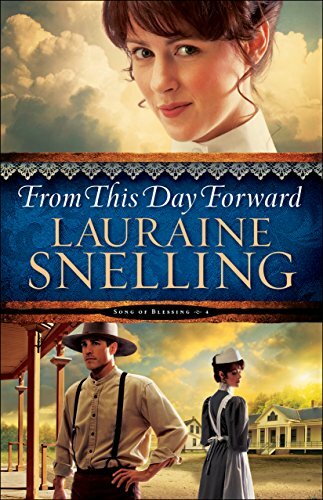 From This Day Forward (Song of Blessing Book #4) by Lauraine Snelling is yet another fine tuned story of the wonderful people who settled in the fictional town of Blessings North Dakota at the turn of the twentieth century. This story is centered on Deborah MacCallister and Toby Valders. Friends since their days at school, they have both come far as adults. She is now head nurse at the Blessing hospital and he is one of the leaders in the fast paced construction of the numerous buildings planned for a community that is bursting at the seams. Deborah has long had feelings for Toby, who seems oblivious to anything beyond their long standing friendship. She has always been there and he takes it for granted that she will remain his friend. As she yearns for more, he is merely going through the motions of his life as his career catapults him from bed each day to work and back to bed again. If it weren't for friends like Deborah and her mother keeping food in his icebox and doing his laundry he would have gone hungry and unkempt. The hospital is also feeling the pinch of a growing community with shortages of doctors and nurses keeping the staff on hectic rotations. Deborah is offered special training in Chicago that will give her many of the administrative skills that would ease the burden of the doctor and nurses who could better serve their patients using their medical skills. The story has all the flavor of an old-fashioned town full of folk attending box suppers and raffling off quilts to support the community. At one such supper a handsome young teacher vies for Deborah's box supper, outbidding Toby with an outrageous bid of $10.00. Anton Gendarme out-maneuvered Toby with his charm and thick wallet. Can he also steal Deborah's heart? These events cause Toby to look at his life and to examine what he wants it to look like. As Deborah travels to Chicago she leaves a bit of her heart in Blessing. When she returns home after completing her training her heart is open to change. The change comes from a surprising source and makes her heart whole. A trip to Blessing, home many Norwegian immigrants reminds me of how it must have been in the small German communities in Minnesota where my relatives settled in the same era. How it must have been a rich potpourri of culture melding together to build churches, schools and little towns where my farming family came to live and pray. What a wonderful country we have and how fortunate to have authors such as Lauraine Snelling to keep these stories alive in her writing. While our ancestors have come from all over the world I am sure their stories are similar. I recommend this book and the rest of the series for a look at the extraordinary ordinary days of those who came before us. 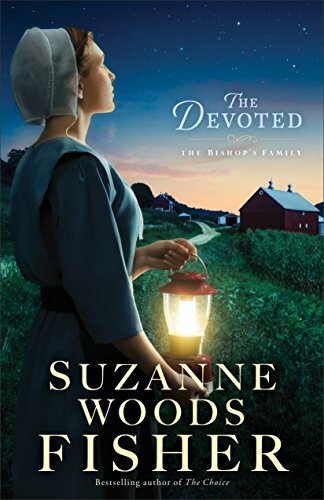 I recently read The Devoted by Suzanne Woods Fisher. This is book 3 in The Bishop Family series and I have enjoyed watching David Stoltzfus' family grow through the years of the series. This story is no exception as we learn more about Ruthie who has grown into a desirable, loving yet independent young lady. We also get to know David's Englisch sister Dr. Ruth for whom Ruthie is named. The two women's lives parallel as they go from caring for men who tug at their heart yet aren't necessarily good for them. Both are at a crossroad in their lives. Ruthie has earned top scores on the GED test she secretly took and feels there must be more than living in her sleepy Amish community. Her aunt is faced with leaving a hectic career as and emergency room doctor after taking the heat for another doctor's mistake. Private practice could be the answer to her prayers to get back to making a real difference in people's lives. Patrick Kelly is new to the area and captures Ruthie's attention. He wants to learn all he can about becoming Amish and he will only be there for thirty days. She is considering leaving the Amish community. He hires her to teach him Pennsylvania Dutch while her brother Jesse will teach him how to drive a buggy. The story is a wonderful reminder of how important values are no matter your faith. I enjoy going back to Stoney Ridge and reading of how favorite characters have evolved from story to story. Best selling author Suzanne Woods Fisher is a gifted writer whose stories keep us coming back for more. The Christmas Angel Project....An Inspiration for Your Christmas Season! 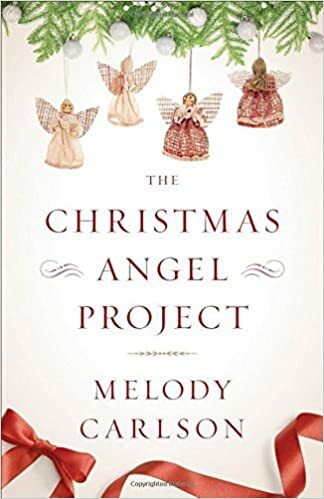 The Christmas Angel Project is just what I needed to read in the midst of the most difficult election cycles of my life. When you are surrounded by technology as we are today an inspirational spot of fiction offers relief and pleasure you just can't put a price tag on. That quiet corner where you comfortably sit and slow down to read is a haven from the outside world. This review is late by my own admission but comes with my heartfelt recommendation. I didn't want this one to be buried with Halloween, Thanksgiving, or the latest trendy love story. This book is important. Melody Carlson once again delivers with this 2016 Christmas story that I believe will be worth reading again every holiday season. Follow five very special women who share life through their book club. Abby, their unofficial leader has a special touch on every member's life. This year, she has made each member a special gift. As we open our story on Thanksgiving evening she is finishing up her last special angel ornament for her beloved friends'. Each gift is intentional and speaks to each woman't special spiritual gift. Each woman has something to offer everyone yet has a need to develop that gift. As fate would have it, Abby dies in her sleep that evening and her loving husband delivers her heartfelt gifts to the women of her club. Stunned at Abby's sudden passing, the women try to determine the future of their unique group. As they open their gifts they realize that their group is much more than just meeting every month to discuss the current book selection. They are so much more than just what they see and Abby knew this. This is a story about women we may have encountered in our lives with normal, every day problems and that is why it is so full of impact. Please join me this season by reading this wonderful book about life and the simple things we do that have a large impact on the world we live in. Simple, complicated and guaranteed to make you cry and put you in the mood for an inspirational Christmas season. Five stars for this wonderful, heartwarming book. I had a hard time putting it down and read late into the night. 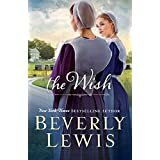 Fiction, Beverly Lewis has hit home once again with her latest book The Wish. This time, her story centers on two young ladies, Leona Spreicher and Gloria Gingerich. Leona was a lonely girl, born late in life to parents who were quiet and reserved. She may as well have been an only child with her much older married brother Mahlon. She longed for a friendship. A friendship with someone her own age who she could confide in and have fun as only girls can have fun. Her life seemed so quiet and ordinary. One day, a family from an Arkansas community became her neighbors. It was a lucky day for Leona when she met Gloria who was just the friend she longed for. She began spending time at the Gingerich home when her own mother was stricken with a debilitating case of pneumonia and couldn't care for Leona. Gloria's family was everything Leona's family was not with younger, fun loving parents and brothers to play games with. This was the family she felt she should have been born into. Until one day, the family suddenly moved away from Colerain Township. Gloria's father, Arkansas Joe had been expelled from the Old Order Amish church under mysterious circumstances. The girls were both heartsick and Gloria vowed to stay in touch with Leona. Leona still missed her dear friend after three years but her strong faith led her to become baptized. She had also become engaged and worked part-time in her sister-in-laws gift shop. Her life was whole. One day, however, a letter came from Gloria that rocked her world. Her dear friend needed her and Leona was determined to go to Gloria and help in any way she could. Gloria's new life leads Leona to take a leap of faith and with her fiancee's blessing becomes determined to bring Gloria back home. She only hopes she is not too late. This is an inspiring story of resilience where two young women never forgot their old childhood friendship. It is also a story of true forgiveness and lessons learned when we forgive and move forward. I enjoyed the book for the story but also the lessons. Sometimes when we think the grass must be greener in the neighbor's yard we need only to look at what we are growing at home and appreciate what we have. I had a hard time putting this book down. As with every book I have read by Beverly Lewis, this story is well grounded, has well developed characters people can identify with, brings tears to my eyes and makes me happy I read it! Our world is full of dreamers looking for that magical place just beyond the mountains or across the river. 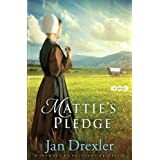 Mattie's Pledge (book 2 in the Journey to Pleasant Prairie series ) by Jan Drexler is the story of a young Amish woman who is seduced by wanderlust. Mattie Schrock left Brother's Valley in Pennsylvania with her family to settle in Indiana. She loved the lure of seeing new places and longed for adventure and yearned to see what was just beyond the mountains. Not new to pulling up stakes, Mattie's father had moved the family to Brother's Valley from the Conestoga area just seven years before. It was 1843 and Americans were involved with the westward movement, including the Amish people. Farmland was getting scarce and the promise of cheaper land and the opportunity to build a larger community moving west appealing. We often read of the great migration to the Oregon but the Midwest was still largely unsettled at the time. Jacob Yoder's family from the Conestoga area, former neighbors and friends of the Schrock's joined in to complete the group. As old friends, Jacob and Mattie enjoyed reconnecting that travelling by wagon afforded them time to get to know each other as young adults with dreams and plans ready to unfold. Jacob planned to purchase land and build a future home for a wife and family. Mattie was committed to adventure and had no desire to settle down in one place for the rest of her life. Two hearts so close yet with such different dreams. Traveling on any trail wouldn't be complete without danger. The Bates brothers added that element of danger with their determination to steal the beautiful Conestoga horses from the Amish camp. Cole Bates was intrigued by Mattie and had just enough charm to give her romantic ideas to dream of going further to Oregon. He was determined to have those horses and capture Mattie's heart for his own. This story shows the example of forgiveness of the Amish people. When Cole is caught red-handed trying to steal the horses, he is told to take just one team and leave the rest. Unable to figure out whether that was a trick, he let them be, at least that night. He was also offered food which was also an unexpected kindness. Cole's greed and determination to have those horses keeps Jacob Yoder on guard throughout the trip. His patience and vigilance throughout the story shows great patience and courage. He used these traits with Mattie, knowing she was searching for something to fill up her life beyond her simple life. Jan Drexler has painted the characters of her story with care. The development of their characters and how they grew in the story are a compliment to the author. It was good to read of the ups and downs of their nature and see how they used their given strengths to get through their trials. While the story focuses mainly on Mattie, Jacob and Cole, we can't overlook the other stories being told within the lives of these young people. They are woven into the daily life on the trail and play active roles in shaping our main characters. We can get as impatient as Mattie as the story plods along through a black marsh or becomes difficult as a tragic storm hits them on the road. Yet the resilience of all the people in this story are a testament to the strength men and women possessed to keep our country growing. The Amish are an important part of our society, living out their Anabaptist faith still today. 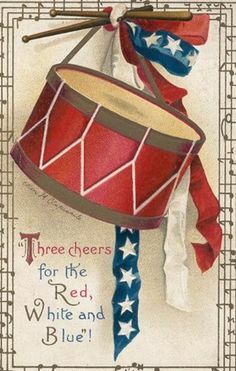 America is a potpourri of culture and religions, the very thing our founders embraced. 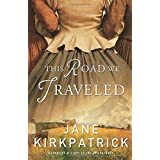 When I finished reading This Road We Traveled by Jane Kirkpatrick I put it down and said "Wow." This is yet another book about the Oregon Trail but what sets it apart is that it is written about a very real woman who at 66 years old set out to find what she would do with the rest of her life. Not content to stay behind in Missouri, Tabby took a leap of faith, bought a wagon, hired a driver and crossed a continent of unknowns. Tabitha Moffit Brown is called the Mother of Oregon and her journey is written of with great care by Jane Kirkpatrick. About an hour ago my husband and I returned from a trip down along the Oregon Trail. Considering I had just finished reading this book Friday evening it was fitting to pause and visualize those wagons heading in our direction. I admit the experiences seem daunting to me. Could I have made this trek? Walking beside a wagon for hours, then trying to bake cornbread on the lid of a cast iron dutch oven seems a trial. Anticipating what the conditions would be like and finding the path narrowing onto a cliff above deep canyons takes my breath away as it must have for the emigrating families. Continually weeding out possessions to lighten the load would be so difficult. After carefully choosing what to bring and what to leave behind would have already been a painstaking process. Tabby's daughter Pherne, unsure of the journey to begin with left behind her fine furnishings and books that she treasured. Tabby Brown began the journey with her family and were led by her oldest son Orus. He had taken this journey before and the plan was to follow the Columbia. Tabby's wagon was driven alongside her daughter Pherne and son-in-law Virgil, their family and Tabby's brother-in-law John. They were separated from Orus with the distance growing day by day. Eventually they were two weeks behind Orus. Tabby and her group were approached by the Applegates and a Mr. Scott who sold them the idea of avoiding the dangerous Columbia by following a new trail from the bottom of the territory, working up to where Orus had built a cabin. They were convinced this shortcut would land them at their destination before the experienced Orus arrived. After careful consideration the group followed the Applegate Trail and from there on the journey went from difficult to brutal. The slow pace of travel on roads that were carved during the journey was hard on everyone. Provisions ran short along with tempers. Sickness and near starvation made it difficult for the travelers to persevere. Broken wagon tongues and wheels, dying oxen and the death of family members are hard for me to imagine. I admire all who made it to their destination because they were courageous people whose indomitable spirit paved the way in which the west was settled. Jane Kirkpatrick has once again used her talent in a compelling way to bring the story of a woman who could have just been one of a group who survived a harrowing journey along the Applegate Trail. What is important is that there are many people who took what they experienced and shaped an important part of the history of our great western states. Many people who courageously made their way west for 640 acres lost their lives or were separated from their families. A whole group of young people were impacted by this. Also about this time the Whitman Massacre devastated the area and left more orphans. Tabby Brown now saw her purpose at the end of the trail and while she could have retired in comfort with either Orus or Pherne she founded an orphanage and school in Forest Grove, not far from what is today known as Portland Oregon. She enlisted the help of missionaries Harvey and Emmaline Clark and founded what is known as Pacific University today. She did finally move in with her daughter Pherne, but only a few months shy of her death at 78. Journals, diaries and notes on scrap paper have brought to light many bits and pieces of what happened on the great migration west. Many thanks to those who have revered these glimpses to the past and to authors like Jane Kirkpatrick who bring these important stories to light. I received this book from Revell for review and thank them for the opportunity to read it and learn from it. If you follow Janette Oke you are no stranger to wonderful stories that capture our hearts and beg to be read again and again. Where Hope Prevails is just such a story. Fans of the Hallmark series When Calls the Heart will delight in this companion tale of Elizabeth Thacker and her dashing Mountie Jack Thornton. 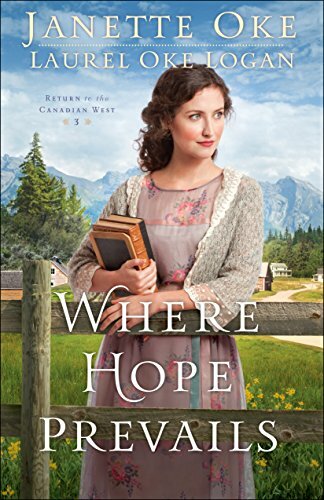 Where Hope Prevails, book 3 in Return to The Canadian West is a collaboration with Lauren Oke Logan. Our story begins as Elizabeth returns to her beloved Coal Valley to find some unsettling changes. While she was visiting her family over the summer, many new families have settled in Coal Valley causing is a housing shortage. Her room at Miss Molly's has been rented to someone else. She will be living alone for the first time in her life in a small apartment. More families meant more students. As she pondered how to teach so many extra pupils she discovered that an additional teacher was hired. Not just any teacher but Mr. Robert Harris Hughes. A man with two last names whose beliefs are vastly different than Beth's with teaching style including a modern philosophical method delivered in a superior manner. She is determined that his modern philosophical ideas will not suit her Coal Valley students. Hang onto your seats as sparks fly with pure entertainment between Elizabeth and Mr. Harris Hughes. Adding all these new things to the mix, she is still waiting for Jack (Jarrick) to propose. He is notably absent in Coal Valley as his work takes him along to other small towns in the area. It is just one more adjustment to make. All in all she has not had the desired return she longed for when she got off the train in her beloved Coal Valley. 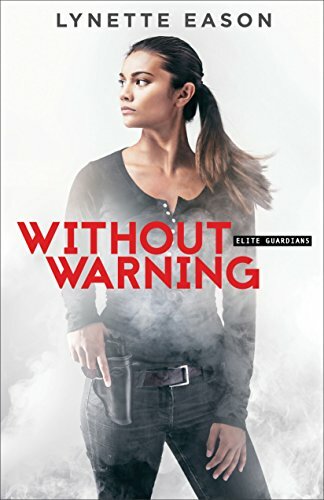 The Elite Guardians Rock It In "Without Warning"
Without Warning, Book 2 in Lynette Eason's Elite Guardian Series is without a doubt one thrilling suspense ride beginning with page one. Daniel Matthews, owner of a few restaurants called A Taste of Yesterday is working late when he hears sounds in the cellar of the historical building. Unable to concentrate, he treads downstairs only to find the door partially open, tail lights moving away and the body of a chef he had recently fired hanging from a chain. Katie Singleton, bodyguard by profession is on the scene quickly after she noticed law enforcement lights near Daniel Matthews restaurant. His niece Riley is one of Katie's self defense students, making this incident one she just can't drive by. Her work with the Elite Guardians frequently links her with local law enforcement members so it was no surprise to find Detective Quinn Holcombe leading the investigation. The surprise came after she met Daniel and they received a call about a second crime, this one about a fire at his other store location. Someone was after Daniel. That much he knew but was at a loss to fathom. The only person who had a complaint was already dead. As the Guardians are hired by his niece Riley for protection the mystery just gets bigger. Fearing for Riley's safety he agreed to the protection but not until after the perpetrator goes to further lengths to try to kill him. 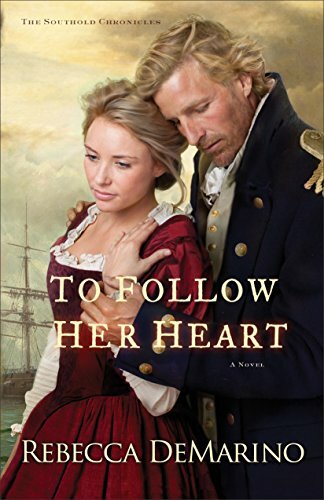 To Follow Her Heart (The Southold Chronicles Book 3) is the story of Patience Terry and her enduring love for Captain Jeremy Horton. As the story begins, word has arrived at Southold, Long Island, that Jeremy's ship, the Swallow has sunk along the coast of Barbados with no survivors. While his brother Barnabas' family are planning a memorial, Patience refuses to believe that Jeremy is dead. Just as his funeral begins, he walks in on the very ceremony and proves he is very much alive. As the story proceeds we learn of Jeremy's rescue. Subsequently, he learns from his rescuers that there is to be a bit of an uprising. He is asked to bring men from Southold for a possible battle and help bring New Amsterdam under British rule. While there was little fanfare or battling, the crown did achieve getting New Amsterdam under its rule. For Patience, it was just the first trip that sidetracked Jeremy from marrying her. Largely a work of fiction, the Horton family is indeed very real and true ancestors of the author, Rebecca DeMarino. She is descended from Barnabas Horton who was indeed part of the Southold community in 1664. Also mentioned in this book was the Reverend John Youngs, the pastor of the local church. 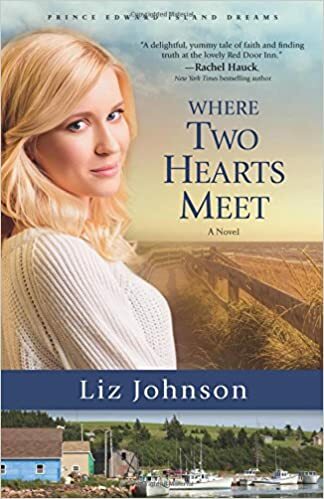 To Follow Her Heart is the third book in this series and if I had read the first two books perhaps I would have had learned more about his life. As it is, I enjoyed reading up on Southold and its beginnings. Bringing these characters to life gives life to history that for some is dull. I have long been a fan of American History and these connections intrigue me. This book is the love story of Patience and Jeremy. Love for a sea captain brings little comfort when the absences are long and the future is uncertain. Patience is thrilled when Jeremy gives up his life at sea and although he pledges they will marry, he tarries long and has on more than one occasion prompted her to give up. He begins work in a shipyard and plans to build her a home. All in all he keeps putting her off until the perfect time to wed. When his business is established, when he has her home built and on and on. Like Patience, I was getting weary of his excuses and wondered if that captain could be happy living on land! While this is a work of historical fiction, the Reverend Joshua Hobart was a true minister and served as the second pastor of the Puritan Church in Southold, Long Island. In our story, Reverend Hobart was a young widowed pastor looking for both a church to pastor and a wife. Patience caught his eye and while she loved Jeremy, she found him a kind and companionable friend. As the book drew to a close, he proved invaluable to her as she made her final decision about Jeremy. I enjoyed this work of fiction for the historical significance it gives to some of the earliest days of our country. Once again Kellie Coates Gilbert tackles a difficult subject in her writing. 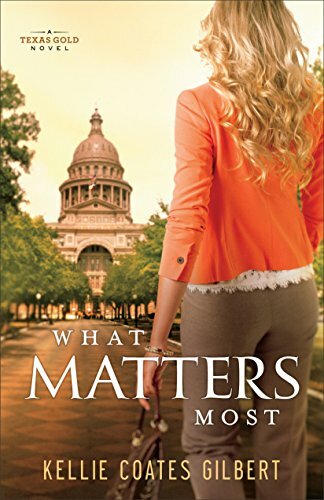 What Matters Most, book 4 of her Texas Gold series gives us a glimpse of the impact dementia has on the lives the family left behind to face devastating loss of love, income, and the intricacies of managing the web of healthcare. Leta Breckenridge was working toward a career as a landscape architect. Midway through college her mother is diagnosed with dementia and can no longer care for herself. This forces a new path that has Leta dropping out of school and working two jobs and supporting her mother's mounting costs in an assisted living facility. She barely has enough to keep her bills paid and juggle the payments for her mother's care. The anguish of providing the best care possible for her mother is the driving force behind her life of work, work and look for more work! This book is compelling in giving us information on a disease we continue to learn more about. Nathan Emerson, the man who Leta meets and falls for is a renowned research doctor who has made inroads to cognitive brain studies. He is also a candidate for governor of Texas. After Leta met Nathan, she is drawn to his work on dementia and is impressed with the work he plans to continue in this area as governor. In a twist of fate she is offered a research job at a prestigious public relations firm. It isn't long before she is assigned to a special project with the goal of derailing Nathan's campaign. Her company represents the incumbent, a man who has plenty to hide. Although her new job comes with a premium salary she is forced to make a choice between her values and keeping up the payments at her mother's care facility. The decision is a tough one that many in our society face today. It is difficult to leave loved ones in a care facility. In addition to the burden of providing the best care possible, much rides on knowing that the said facility lives up to its promised level of care. In addition to a good story this book gives us look into the underbelly of political campaigns. What I saw was unexpected. We have seen how campaigns can get dirty and I don't like it. The taste for power drives some to incredible lengths. While this is a work of fiction, the author has written it well enough that I can imagine these things happening. Campaigns come and go and we read of things we would rather not see. Careers can be ruined with the click of a camera or stroke of a pen. The lengths the rival campaign goes to in the effort to win is astonishing. After reading this story I feel compelled to see more disclosure on how our tax dollars are really spent when used for special programs. Are those little known accounts being used for what they are meant to be used for? I was pleased to receive this book from Revell to read and review. It is much more than a Christian romance. It is a book that is well researched by a woman who loves to do her homework, no doubt honed by a successful legal career. I wasn't sure how she would tie all this book up into a neat ending but she delivered. If you are looking for a good book to read in this campaign season, pick up Kellie's book What Matters Most. 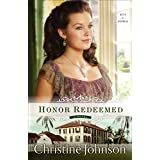 Honor Redeemed, by Christine Johnson is Book 2 in the Keys of Promise Series. Our story begins when our heroine, Prosperity Jones has lost her mother after a long illness. Having lost her father years before, she has no other family, no home and just enough money to book passage from Nantucket Island to Key West. Her betrothed, Lt. David Latham, an engineer with the U.S. Army left her two years before our story begins. They plan to marry and when his tour of duty in Key West is complete he will come for her. He has been hard at work with his men building Fort Zachary Taylor, a major project. She is determined that he will be glad to see her. Once he knows about the loss of her mother he will ask her to marry him. All her troubles will be over. However, even the best of plans or dreams must be laid to rest if fate intervenes. Upon arrival, she discovers that he hadn't waited six years for her as he said they must, but he was married to someone else! Brokenhearted and with no funds to return home, she finds work as the laundress in a hospital. Determined to support herself, she finds lodgings and friendship within the home of an honorable young family. She had also found friendship and protection under a Dr. Goodenow, a kindly gentleman who sees her as much more than a helpless young woman. Her friendship with Dr. Goodenow brought her face to face with David and his wife when he enlisted her help as a nurse. Just as Prosperity hoped to put her past behind her, she can't seem to avoid the handsome Lieutenant who had so long ago captured her heart. David has troubles of his own without facing Prosperity. He is ashamed that he had married another woman after pledging his heart to her. He was set on making the marriage work even though he did not love his wife. His project at the fort was also beset with problems. Work was not progressing as scheduled and building materials were coming up missing. His honor comes into question as the problems escalate. Prosperity loved him through it all and by chance learned the truth of the whole matter. As the story progresses Prosperity grows into a strong woman who seems to face everything dealt to her. Her strong faith and the support of her good friends help her face whatever she is dealt with. This is a story with all the elements of a romance. The setting in Key West gives us a glimpse into 1852 when our country was still young and undeveloped. Building that historical fort in those days was very challenging in so many ways and Christine Johnson illustrates the life on the fort very well. Looking for a good suspense novel? 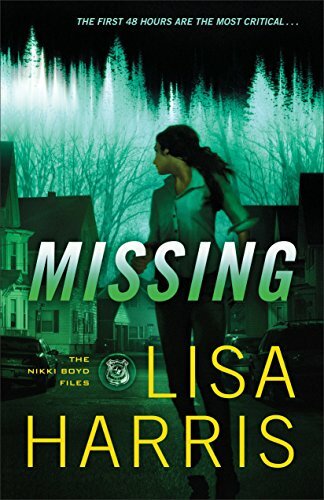 Missing, Book 2 in the Nikki Boyd series, is full of intrigue that will keep you wondering who, what and where. Award winning Author Lisa Harris' latest gives us a well written plot full of twists and turns leaving us in a wake of bodies and an unthinkable white collar crime. Mac Hudson, a lead scientist for Byrne Laboratories discovered a deadly secret about the drugs his company produced. The secrets cost him his life and now Nikki Boyd of the Tennessee Bureau of Investigation Task Force and her team are frantically searching for Mac's missing wife Lucy. Counterfeit drugs are finding their way into mainstream America, short circuiting strict FDA regulations and lining the pockets of a few men who play a new kind of hard ball. While searching frantically for Lucy, Nikki, Jack and Gwen pull out all stops. This special missing person's task force of the Tennessee Bureau of Investigation refuses to lose ground as the deadly killers forge ahead as though unstoppable. Vivid descriptions and well developed characters set this suspense novel apart from your average whodunit. The plot is fresh and unpredictable. As the story progresses, more information emerges that will surprise you enough to keep turning the pages. From the beginning I was enveloped into the case and finally let go when the author tied everything together like a sailor slips a knot. Add this to your reading list if you like suspense. I am already looking forward to her next book in the series, Pursued, coming in spring 2017. Many thanks to Revell, a division of Baker Publishing Group for the opportunity to review this book. 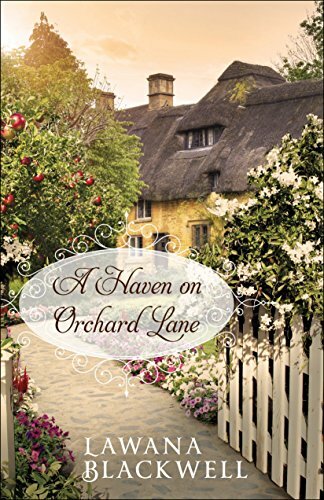 This past week I finished reading A Haven On Orchard Lane by Lawana Blackwell for review. The story, set in England in 1880 follows former actress Charlotte Ward as she creates a new life for herself. Charlotte had ended a successful career on the stage to wed Lord Fosberry who promised her a life of love on his secluded country estate. He was not as he seemed, however, and his promise of love turned to cruel loneliness and forced seclusion. Our story really begins when Charlotte is wooed to return to the stage in London. Her husband posed serious threats and derided her reputation. He had people on the lookout for her, waiting to bait her for tabloid fodder. Her nerves collapsed under the strain, forcing her to change the course of her dreams. Sometimes, though, dreams take a different turn and what we think we want turns into something else altogether. After weeks of illness she found she was under the care of her estranged daughter Rosalind, who wanted nothing to do with her. Charlotte has no money and no means of support other than what Rosalind can provide. Taking leave from her teaching job, Rosalind plans to stay only long enough to help her mother regain her health and no longer. She found them a cottage to rent in a small coastal village. For Charlotte, being reunited with Rosalind was like a gift. Her career dictated she leave her daughter with a spinster aunt to raise. Rosalind, for her part in the story also finds a new path in her life. Caught up in her classroom she would have missed some of life's most rewarding moments. She meets a handsome bookseller who turns her head and surprisingly captures her heart. In this story of resilience and second chances, Lawana Blackwell gives us glimpses of love when no hope seems possible. Love takes many forms in this story, not the least of which is romantic love. The more pages I turned the more love shone through. Charlotte is an amazing character who touched many lives in her small coastal village. From the town gossip to a pair of young, neglected brothers, it is clear that even though her life had some sharp turns, her love for others transformed them. She saw people for who they could become, not as they seemed. Out of the darkest moments of her life, she became a strong woman with much more to offer than she had ever been led to believe. In the end, Charlotte managed to truly create a Haven On Orchard Lane. I give this book 4+ stars just for the wonderful characters Lawana Blackwell developed. I read The Widow of Larkspur Inn, also by this author, the heroine in this book is also a seemingly weak woman who rose above her difficult situations. These characters teach us that perhaps we haven't had an easy life but we can overcome many hardships with faith and love. Many thanks to Bethany House for the opportunity to review this book! It is a lot of fun to meet an author and even more fun when you discover that by chance you have read her work before but didn't make that connection. This is true of my chance encounter to meet Carrie Fancett Pagels last week. I was lucky enough to have an opportunity to read and review the Tea Shop Folly, A Teacup Courtship Novella. As luck would have it I was just wrapping up a good book and was at sixes and sevens for my next selection. I found this story entertaining with a little bit of added history added. Set in Michigan, young Lilly has arrived after inheriting her Great Aunt Lillian's home and fortune. She left behind a gravely ill mother and her younger sisters who are in need of much needed hope that Lilly hopes to share upon receiving her bequest. What follows is a series of misunderstandings after she meets a handsome young engineer from the Soo Locks, Theo on her first day in town. As fate would have it, Lilly and Theo meet again when he mistakes her home for Tea Shoppe. On the hunt for yet another teacup set for his hard to please mother, Theo spies piles of teacups that Lilly is sorting out from her Great Aunt's hoard of treasures. While she never acknowledges her home is a tea shoppe, he continues to believe she owns a business. When he finally realizes his folly all manner of characters have arrived to make this an even sweeter tale. Lilly is a treasure and her thoughtful approach to situations thinking about what her mama would do is a testament to proper upbringing and good family values. I have become a fan of the Novella as a wonderful way to feed my reader for times when I really want to get into the story without committing to a large book. 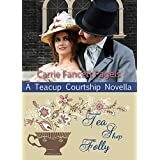 Award winning Carrie Fancett Pagels has not disappointed me with The Tea Shop Folly. I happily discovered that it was Carrie who wrote the Lumberjack Ball, book 2 of the Christy Lumberjack Series. If you like a good story with a hint of historical flare, I recommend this novella and other works by Carrie. 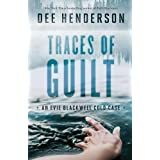 Dee Henderson is a gifted writer who has brought us yet another good suspense novel, Traces of Guilt, an Evie Blackwell Cold Case. What an example showcasing this author's talent in creating one of the best in Christian suspense novels. Evie Blackwell is a detective with the Illinois State Police. She tackles each case like a puzzle and her methods are successful. That is why she is likely to be tapped by the Governor-Elect to be on a special two-year task force to solve cold cases in her state. She loves her job and the opportunity this task force would take her career to a new level. We meet her on her way to a working vacation in rural Carin County to look at two cold cases. Both cases have been investigated with a fine-toothed comb yet remain unsolved for many years. Gabe Thane, Carin County Sheriff assists her by providing boxes of evidence and honest support that many a small town sheriff with an ego might withhold. The first case involves the disappearance of Deputy Scott Florist, his wife Susan and son Joe. Secondly, she is examining the case of Ashley Dayton, aged six who disappeared as her parents were checking into a motel in Carin. These cases are near to the heart of the sheriff and his father, who had been sheriff at the time when both occurred. Traces of Guilt is very complex and the characters mesh with each other in an incredible way. Evie unpacks all the boxes of evidence, separating each piece into two separate time lines on the wall. She and Gabe have discussed what has gone on before and what she hopes to find that was missing in previous investigations. While doing so I am struck by something she says to Gabe as she begins reexamining all the evidence: "Cases solve when you can get a thumbnail under a corner of the answer and peel it back." That is exactly what unfolds. It is tempting to share how she approached this but I am not one to spoil a good mystery. The research for this story was incredible. The power of the hunt for answers kept me turning pages long past time I should have called it a night. The process of the investigations, the discussions between the characters and the care toward all the victims was very well written. I give this book 5-stars with my heartfelt recommendation. I am already hoping another Evie Blackwell Cold Case book will be released. On this day in 1776 our forefathers declared their independence from British rule. Looking back over many trials, it is hard to believe our country has come so far. I wonder what those great men would think about the country they were forging way back then. I have read many letters and documents written by these men. While we think of them as great men, deservedly so, they were men who thought of themselves as average men who were building homes for their families. The respect they shared for each others among themselves spoke volumes in the legacy we share today. May we never forget the principles on which our country was founded. God Bless America, now and forever. 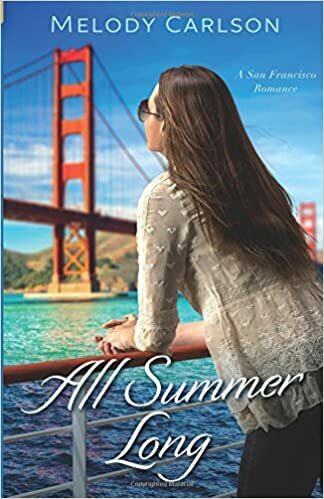 All Summer Long is one of those lighthearted books you enjoy reading when you want to kick the lazy days of summer into high gear. It is a story about Tia and Leo, two people who met casually at a sailing camp ten years before our story begins. As everyone said goodbye on the last day of camp, Leo planted Tia with a kiss. Years later, with that kiss on her mind, Tia is moving to San Francisco to help her aunt open a boutique restaurant on a luxury yacht. The excitement of playing a pivotal role restoring the yacht and designing the ultimate galley kitchen and dining room play on her mind as she arrives in San Francisco. Instead of her aunt, a handsome young man is waiting to pick her up. Not just any handsome man but an older version of the teenage boy who gave her that memorable kiss all those years ago. As fate would have it, she and Leo will be thrown together often as they manage the work needed on the Pacific Pearl. Her uncle's pressing need heart surgery and her aunt's natural desire to stay at his side compels the pair to work together to complete the work. The work needed is significant but takes second place in the plot to Tia and Leo's story. We can almost feel the fog roll in and the wave lapping on the side of the yacht, docked in the bay. The author, Melody Carlson is very adept at setting us right in the middle of the story. From the start Tia enjoyed meeting Leo again, deciding that moving from northern Washington state was the best decision she'd made since graduating from culinary school. The only bump on the road was Natalie, Leo's fiance. Naturally, Tia is disappointed but can she work with Leo to oversee all the work needed to turn a 1980's remodel job gone bad into her aunt's vision of the Pacific Pearl? Can she stand by and watch a man she is falling for marry another woman? Even if the other woman has also become her friend? Sea Rose Lane Where Life Begins Again! What do an out of work Corporate Attorney and a beautiful Architect/Contractor have in common? Not much but for the merest chance meeting on Highway 101. He takes his eye off the road for just a moment on a sleepy coastal road in Oregon and meets the back end of a pickup truck. This was not exactly the way Eric Nash meant to arrive back home in Hope Harbor after being downsized by his prestigious Portland law firm. Stepping out of his BMW and coming face to face with BJ Stevens only topped the bad way his day was turning out. She knew he had been texting while driving and it infuriated her. She had no time for the good looking, BMW driving corporate type who had stepped out to meet her. After assessing no real damage was done to her car she was on her way, happy to see the last of the likes of him. Eric went on his way too but his day of surprises was far from over. Seeking the comforts of his boyhood home, he found instead a construction site! His father was transforming the home into a Bed & Breakfast Inn and right in the midst of the job site was BJ Stevens and her crew. 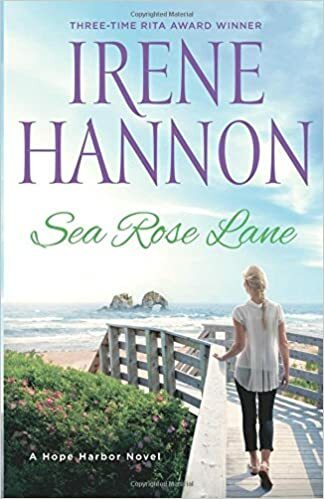 Sea Rose Lane, by Irene Hannon is a story full of hope and new beginnings. For Eric, he must re-launch his partner track law career. For John Nash, the Inn will bring laughter and new memories back to his big empty home. BJ is on her way to recreating her career as a hands on architect with a love of building to keep things interesting. For her crew member Luis, his new life in America is about starting over. For Eleanor Cooper, it is filling lonely days confined to her home and using a walker. All of these people have separate lives yet they are linked to create a wonderfully well written story. Last summer I enjoyed reading Hope Harbor and the story of Tracy and Michael, who are back again along with the wise Taco Truck owner Charley. Once again Charley (who keeps irregular hours) is open at just the right time and dispensing just enough wisdom to get everyone's attention. How he seems to be in the know about everyone's story and what they need to hear to keep going is short or amazing. Hope Harbor is a magical place and Sea Rose Lane is one of those books where you can feel the spray from the ocean and smell the succulent food from Charley's truck. I recommend this book as well as another look at Hope Harbor. Sea Rose Lane is Irene Hannon's fiftieth published novel! She in an award winning author with three coveted RITA Awards from Romance Writers of America among many other awards. Along with the Hope Harbor novels, she has kept me on the edge of my seat with her Men of Valor series, Private Justice series, Guardians of Justice series and more. She is a master at character development and her research is impeccable! Need I say more? Grab your copy today! This book called me while I was reading another. It was hard to practice self control and finish the first one but you see I have truly enjoyed all of Melissa Jagears books and I knew I was in for a good read. The problem was I still had that other book I needed to finish first. Does that happen to anyone else? But as luck, or fate would have it, I was caught with time on my hands without a book so grabbed my phone. Every book lover has the Kindle App on their phone right? 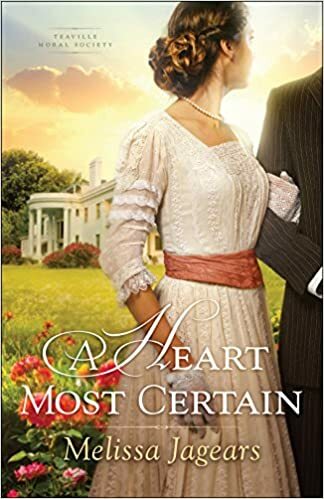 A Heart Most Certain begins with Lydia King, a lovely young woman of good character challenged with seeking a donation from Mr. Nicholas Lowe, the richest, stingiest man in Town. She accepted the challenge from Mrs. Little, President of the Teaville Moral Society and mother of her almost betrothed, Sebastian Little. If she can procure the donation, it would be enough to cover the price of two sewing machines to make blankets for those in need. Getting the donation from Mr. Lowe seemed impossible but she was determined. She wanted to help the needy but Mrs. Little declared that she would be deemed worthy to join the Little Family if she succeeded. Although she was nervous to take on the challenge, she would do so because a marriage to Sebastian would secure her future and help her dying mother live more comfortably. Of course, her no account father could benefit, but he was the least of her worries. Mrs. Little was a powerful force to reckon with anyway. She found herself before Mr. Lowe, made her request and was flatly refused.and the man of business left her abruptly with no indication of whether or not he would return. She found herself waiting in his office for him but he ducked out without a word. She decided then that she would get a donation from her and wouldn't rest until she did. It was his Christian duty to donate such a small amount when he had so much. After all, she never saw him tithing at church. He became many evil things in her eye based on rumor and conjecture. She made it her business to greet him on the street and let him know she would pursue him until he agreed to buy the sewing machines. I love to be entertained when I read a book but it is another thing altogether when we are challenged or learn something in the process. Good works are good in themselves but it is important that we don't get so caught up in the good works that we miss the reason behind the good works. Lydia loved being part of the Moral Society. Her family was not well connected. Her father drank and gambled most of their money. Her mother was unwell. She wore hand me down clothes from a wealthy family in her congregation. Yet with all her trials she was a cheerful giving woman who had a pure heart and steadfast convictions. Over the course of time, she encountered Mr. Lowe several times and as promised, each time she met him she asked him for the donation. Mr. Lowe agreed, eventually to help her but not in a way that she expected. The lessons he taught her shook her faith in her church family, led her to places she should never have gone and brought her a richness she couldn't have found by simply being a dutiful member of the Teaville Moral Society under the guidance of Mrs. Little. The book ventures into the red light district of the era and the difficulties many women had trying to leave that profession. Women and girls often were forced into that lifestyle and treated miserably by the very people who could have helped them. Today we are still faced with this human trafficking and it is a big problem. I am glad Melissa chose to tackle this issue in her book. Throughout the story we see how Lydia influences Nicholas but it is surprising how he influences her. He gives her a voice that was silent for most of her life. He inspires her by showing her how other people live. She learns that you cannot judge others by what you see. While the story has many lessons, it is, first and foremost, a love story. Love for others, respect for ourselves and love that is tough enough to give strength and build character. I heartily recommend this inspiring book worthy of 5 stars! Award wining author Melissa Jagears has a way of telling a story that keeps one turning pages looking for what happens next. Isn't that just what we want out of a book? Being a hero was the last thing on Deputy Michael Keane's mind. He was busy driving a busload of silver haired ladies from Hidden Springs to Eagleton, as a favor to his Aunt Lindy. As he drew near the Eagle River Bridge, he saw a man ready to jump. He climbed off the bus and in front of that bus full of people, pulled the man back over the railing. The ladies quickly got off the bus to see what happened and more than one savvy granny snapped pictures with her smart phones. One Hank Leland, owner of the Hidden Springs Gazette, just happened to be there too and was busily snapping pics too. But Hank's pictures were for his next issue of the Gazette. News like this didn't happen in Hidden Springs so he took pictures of the rescue and pictures of the man loaded into an ambulance with a few good shots of Michael with the jumper. Amid the post-rescue chaos the jumper had a few last words for Michael: "You'll wish you'd pushed me." 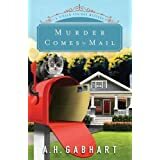 A.H. Gabhart's Murder Comes by Mail is the second in her Hidden Springs Mystery series. If you have read Murder On The Courthouse Steps, You've already been to Hidden Springs and met the people of this quiet little town full of of characters you couldn't find anyplace else. Nothing ever happens there and they like it that way. Every Wednesday, the Hidden Springs Gazette comes out but on this particular week the paper is full of its home town hero Michael Keane and his heroic rescue of a man who didn't want to be rescued. Uneasy with being the center attention, he is more interested in finding out who the man was and why he said those last haunting words to him. Words that refused to leave him in the days to come. One day after the "Hometown Hero"story broke, Betty Jean sat opening up the mail as usual at the Sheriff's Office. She was just teasing Michael about the article when she pulled some photos out from a manila envelope when she gasped, becoming clearly upset. Michael jumped from his desk to see what was going on and found grizzly photos taken of a young victim. He dumped the entire contents and found a note from the jumper reminding him that Michael should have let jump. From then on the story takes an unexpected turn as sleepy Hidden Springs is roused to full alert. One crime leads to another in an uncanny twist leading to Michael. Can he stay one step ahead of the game and protect all those connected to him? I can assure you that this is one good mystery. The plot is well developed in Gabhart's fashion and you will be gripping your seats as you try to turn the pages fast enough. No spoilers here, you will want to read this one yourself! Many thanks to Revell for the advance copy to review and to A.H. Gabhart for many hours of entertainment. For Lillian Avery, life couldn't be more exciting. Her Pharmacy School days are over and she has a job waiting for her in Boston. As a woman pharmacist, she is embarking on a career traditionally filled by men. She is undaunted by the challenges of competing with men for jobs because she has met other obstacles head on, including getting through life with one leg after a childhood accident. The accident changed her life but it didn't hold her back despite being a beautiful young woman who wore a prosthesis. She was driven to become the best in her field and make a difference to her patients. 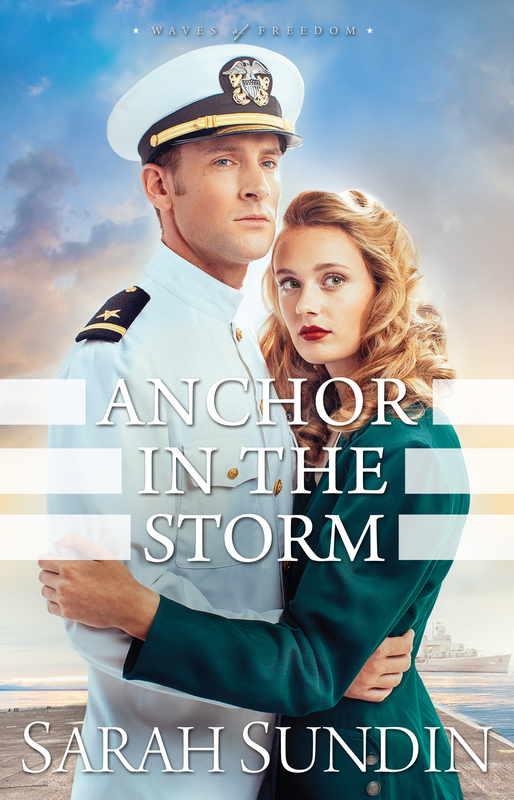 World War II is just about to begin in Sarah Sundin's latest, Anchor In The Storm, Book 2 in her Waves of Freedom Series. Lillian is joined in the story by her brother Jim, his Naval Academy friend Arch Vandenberg and Jim's girl, Mary Stirling. Lillian is put off by Arch, only son in a wealthy family. In her eyes, the handsome young man must be insincere and full of himself. In his eyes, she is a beautiful woman who, unlike other women he met, was independent and indifferent to his wealth. All three travel back to Boston together where the men are assigned to a new destroyer, the U.S.S. Ettinger and Mary has a job as a secretary at the Naval Yard. Lillian planned to room with Mary, so much to her chagrin, she would be thrown into Arch's company when Jim came to see Mary. On Lillian's first day at Dixon's Drugs when Mr. Dixon discovered her artificial leg. He let her know he hadn't wanted a woman in the first place but a cripple was the last straw. She convinced him to try her for a few weeks and he agreed only if she kept behind the counter so nobody would see her leg. With that hurdle behind her she was determined to keep her job. Right away Lillian noticed an unusual amounts prescriptions for Phenobarbital. She was determined find out why such high amounts of the drug were prescribed. Mr. Dixon, however, didn't want discrediting the drug store with her nosing around on things that she had no business questioning. In the meantime, Arch was having his own difficulties on board the Ettinger. He suffered from Battle Fatigue, what we now call Post Traumatic Stress. When the Atwood was attacked just before the war began, he was injured in the engine room and still had nightmares and trembling hands. He sought help, was prescribed Phenobarbital and after one groggy dose decided he would fight this on his own. It didn't take long, however, before he began to notice the symptoms among his men. He also recognized signs that some of the men were taking the drugs he had been prescribed. These men were impaired on duty and Arch was going to make it his business to get to the bottom of who and how the men got these drugs. It was only a matter of time before Arch and Lillian discovered they shared a concern: he for the men who were taking the drugs and she because she knew the high volume of drugs prescribed was above safe limits for anyone. They began an investigation on their own to uncover what had to have been a drug ring. By joining forces, they also fell in love, something they were both avoiding. She didn't want to trust any man again after a bitter breakup and he was on guard for any woman who preferred money more than the man he was. Both rely on their faith to grapple with the many odds they face in such a turbulent time. Intrigue, romance and some dangerous waters are what you will find in this book. I was hooked from the beginning. If you read Through Waters Deep, you will enjoy reading more about Mary Stirling and Jim Avery while getting to know Arch better as he and Lillian tread toward their own Anchor In The Storm. A good mystery mixed with romance make for a good book to enjoy with your favorite cup of tea. Many thanks to Revell for the opportunity to review this book, which ended too soon! I am waiting already for Book 3 in this series, When Tides Turn coming March 2017. Suzanne Woods Fisher has written about the Amish in Stoney Ridge for years. I have enjoyed reading about the families of this community as though I were catching up with old friends. 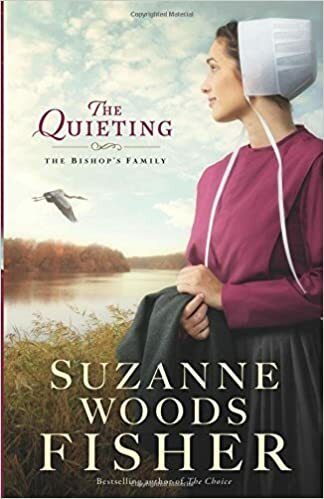 The Quieting, in the Bishop's Family Series (Book 2) is no exception. The characters come to life and I find myself cheering them on or shaking my head. David Stotlzfus, widowed father of six is one of the ministers at the Amish Church. He is at odds with Freeman Glick, the Bishop over a matter that could have lasting implications for their church leadership. David is a thoughtful, caring man without a competitive nature who wants what is right for his church. As he wrestles how to handle this he has a surprise visit by his domineering mother and two grown nieces. They plan to fix David's household, lend support in the church matter and reorganize his small store. David's mother Tillie, aka "Mammi the Meddler" keeps her finger in every pie and in doing so exasperates all who love her dearly. Mammi brings along Laura and Gabby (Abigail) as reinforcements. Abigail, a very serious and literal young woman assists her father with his work in genealogy. She is secretly pleased to be there in order to complete a study for a client in Stoney Ridge. Finishing up the study is her main goal but not before she meets a young man who has eyes only for her. Not as socially equipped as her sister, Gabby has struggles of her own to manage before she unfolds an interesting leaf on the Glick family tree. There is a community within the pages of this book and the members come together to tie things up nicely. From mis-matched matchmaking to drilling for oil, there is never a dull moment in Stoney Ridge. I heartily recommend this book but not before you have read The Imposter where this story begins. Both books could be standalone, but reading both enriches the story. I am already looking forward The Devoted, (Book 3) due for release in October 2016. Fiona Lanier was riding her horse Bonnie on the beach that August day in 1814 when suddenly the horse stopped in front of a pile of seaweed, refusing to go on. "Wait, not seaweed. Material. Clothing. A body. A roll of surf washed up, stirred by the folds of cloth, but the body did not move. Dead?" Our story begins here on the beach where Fiona finds a badly injured young man lying face down in the sand, barely alive. After a struggle, she manages to get him home where she will ultimately nurse him back to good health. The mysterious young man, however, is not entirely unknown to Fiona. He is Charlie Kincaid, whom she met years ago while visiting England. When Charlie regains consciousness, Fiona quickly realizes he has lost his memory. What was he, an Englishman, doing at Mobile Point so far from his home? Set in the midst of the War of 1812, the Magnolia Duchess brings to life fictional characters whose stories intertwined with historical places and events of that era. The book mentions General Andrew Jackson several times leading up to the Battle of New Orleans and the ultimate surrender of the British that ended the war. As the war rages, though, we are still faced with Fiona and Charlie. As they meet challenges brought about by the war, they both grow in ways unexpected. The Magnolia Duchess is the third book in the Gulf Coast Chronicles, by Beth White. The series follows the Lanier family for over one hundred years where men and women of courage helped shape our country. 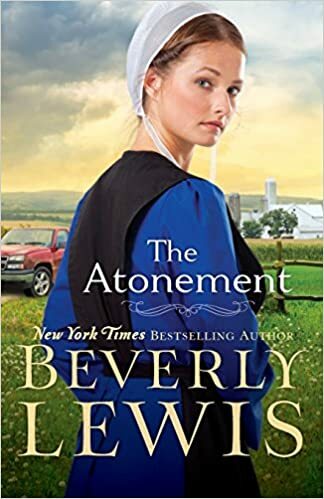 Last week I finished reading The Atonement, by Beverly Lewis. The story is about Lucy Flaud, a young woman who has booked herself busy to avoid dealing with grief suffered in her past. As a young Amish woman who has passed the typical courting age, she is determined to remain single despite the attentions of her old friend Tobe Glick. Glimpses of her past are woven into the story and I found myself wondering what she could have done that prompted her to give so much of her time to serving others. Volunteering is a wonderful opportunity but for Lucy, it is all-consuming. She is touched by Kiana, a young single mother who has been living in shelters and on the streets with her son Van. In the beginning, Lucy's father Christian is arriving at his first grief support group meeting at the community church. His outward reason for attending is to get over the death of his father three years before. Here he is paired with Dale Wyeth, a young Englisher. Dale is interested in living a simpler lifestyle and to Christian's surprise he invited the young man to visit his farm to see how the plain community lives. Lucy was very annoyed with this and can't believe her father did this. Lucy didn't trust Dale at first but as their lives intersect through the story Dale helps her find ways to help Kiana. He admires her commitment to others and she is intrigued by his profound faith. In the process of helping others, her family is dismayed at the growing friendship between her and the outsider. She is spotted by members of her community riding in his pickup on more than one occasion, including a Sunday. Her father's concern about Dale is only surpassed by the damaged relationship with his daughter. I liked the book for many reasons. The lessons of love and faith are prominent as Lucy finds her way back to the church. Clues to her mysterious past were doled out in pieces. For years Lucy occasionally saw a happy elderly couple meeting on the bridge in celebration. When she meets them and hears their story she begins to heal. Everything turns out well, in true Beverly Lewis fashion but telling this young woman's journey is worth opening the cover and turning the page. 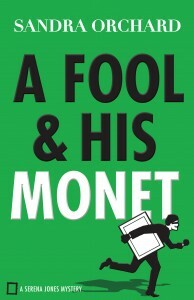 Sandra Orchard introduces Serena Jones, a young, vibrant FBI Art Crime Agent in A Fool & His Monet. When two paintings are discovered missing from the Forest Park Museum, Serena is quietly called to the scene by her friend Zoe David, head of security. Following renovations at the museum, Zoe isn't quite sure when the Monet and Rijckaert went missing so no publicity is the best publicity on this case. As the story unfolds Serena is joined by her Aunt Martha, an expert television crime show fan along with her mentor Tanner and apartment complex manager Nate. Red herrings surface along the way to the solution, but not before we meet Serena's mother, who is eager to marry her off before she gets killed in the line of duty and her father, a quiet college professor. Dinner time is a hoot as they discuss cases, Serena's love life and Aunt Martha's tips to catch the thief! No spoilers around here and there are a few, believe me. I was intrigued how the author organized the crime and the extremes the criminal went to in order avoid being caught. What began as a seemingly easy heist lead to murder and mayhem that all seemed unrelated until Serena came on the scene. All in all if you like mysteries, give this one a try. Good plot, fun characters and an author who does her research! Sandra Orchard has another Serena Jones mystery in the works so be ready for another art crime caper. Dressed for Death A Regency Party Experience Few Shall Forget! 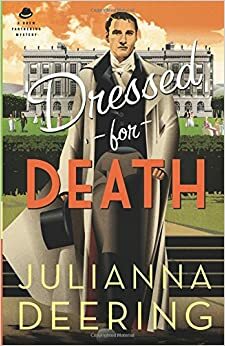 I recently read Dressed for Death by Julianna Deering for review. I hadn't read any of her books before so this was a treat. Reading a new author for me is like taking a trip on a newly traveled road. I didn't know what to expect but I did enjoy the journey. Dressed for Death is set in the 1930's on an English estate. Our hero, recently wed Drew Farthering, is traveling with his wife Madeline to Winteroak House for a Regency-era house party. The party is hosted by Drew's old family friends the Cummins' family and he is very excited to see his old friend Tal once more. He will also have the opportunity to introduce Madeline to everyone and meet Tal's fiancee Alice Henley. All guests, upon arrival are taken to the house in an opulent barouche carriage typical from the era and at the insistence of the host leave their cars behind. The party is authentic with period clothing, food, dancing and the chance to hear Jane Austen quoted throughout. The estate, which is one of the stars of the book is the perfect setting for the party and sets the tone for the expensive taste of Mr. Cummins. As the week draws to a close, Alice dies mysteriously and Tal's father is taken to Scotland Yard. As a known amateur sleuth, Tal asks Drew to look into the matter and discover the truth to these unsettling mysteries. With the elements of a good old fashioned whodunit, the author captures the spirit of many books written during that period. That era, with its big estates and the parties held inside are often the subject of many books and movies. Often we find society parties a bit trying at these affairs and look for their flaws. When you meet Drew and Madeline, you will be pleasantly surprised by their kind and generous spirits. The party ended unhappily with Alice's death but it is what follows that keeps the reader engaged. More mystery and mayhem with cleverly designed red herrings to keep you guessing until the end. I laud the author for her character development. I didn't like all of the characters, nor should I but there are a couple who will surprise you by who they are and what they do. I will not reveal any spoilers in hopes you will pick up your own copy to read on a rainy Sunday afternoon. I am looking forward to discovering more books by Julianna Deering. "New gods were chosen, then war was in the gates." - Judges 5:8. Jill Eileen Smith retells Deborah's story in The Prophetess, book, number two in her Daughters of the Promised Land Series. Deborah is a beautiful, outspoken woman of Israel chosen by God to hear His voice through prophesy. She lives in a time when the people of Israel are living in fear of a mighty warrior, Sisera, commander of Canaan's King Jabin. Women and children are stolen and enslaved. Men are murdered. The spoils of war are made worse by the sheer unspeakable acts of a tyrant. Deborah knows from her visions that false gods have been worshiped and beseeches her people to turn away from these gods who are destroying Israel from the inside. This story brings Deborah to life as the woman of courage she was in 1126 BC. She is wife to Lappidoth, and mother of his children. She is a judge who daily sits under Deborah's Palm Tree on the knoll to hear case after case brought forth by her people for her to decide fairly. She has the cares of a woman yet the responsibility beyond the scope of any woman in her village. Moving forward fifteen years, she encounters Barak, a young warrior from Kedesh in Naphtali, who seeks to destroy Sisera, whose band of destroyers killed his young wife. He and his group of soldiers travel to the villages warning of the dangers Sisera has wrought on the villages. Deborah also meets Jael, wife of Heber who has traveled far with his family from his home searching for a place to settle. These people are integral to the story as it unfolds and are fascinating in their own right. Can peace come to the lands at last? Is the word of the prophetess enough to build an army for Barak to destroy Sisera, and in turn King Jabin? Can the people turn from false idols and believe in the One true God? Deborah's story compelled me to do some research into the times and of course to read Judges 4 & 5 from which this story hails. If you love a good book that brings biblical accounts alive you will enjoy the Prophetess. It is a story of love, war and redemption written as we have come to expect of all Jill Eileen Smith's books. Recently, I enjoyed reading Amish Sweethearts Book 2 in the Neighbors of Lancaster County Series. When Zane Beck moved to Lancaster County with his family as a boy he found a good friend in his new neighbor Lila Lehman. They played together, laughed together and he shared his love of knowledge with her. Lila, an Amish girl, left school after eighth grade as was tradition, but continued her studies vicariously through discussions with Zane and borrowing his books. Her mother died young, leaving Lila as oldest daughter to help her strict step-father run the household and care for the rest of the family. As they grew older, Zane knew he had feelings for Lila and although Lila felt drawn toward Zane, she was determined not to marry an Englischer and leave her faith. She was courting the bishop's son and one day they would marry, a happy circumstance for Lila's step-father Tim. Zane planned to go to college in the fall, leaving her behind, but after an argument on the matter, Zane surprised everyone by enlisting in the Army. He left without telling her goodbye and found it convenient to avoid coming home on his leaves. The story shares some of the conflicts between the modern world we live in and the Amish, who are pacifists, opposing all war. Finally home on leave after his mother's pleas, he sees Lila by chance right before being shipped out to Afghanistan. She has not married yet, having put it off many times for many reasons. In the years that pass in their story, Zane and Lila discover time and distance do not change the way they feel about each other. Always Watching Suspense At the Edge Of Your Seat! Lynette Eason has done it again! The moment I started reading Always Watching I was hooked. A plan executed for over ten years finally peaks when Wade Savage's stalker closes in for the prize. Olivia Edwards' company, Elite Bodyguards is hired for protective detail when Wade's father sees an all too familiar pattern of personal gifts appear for Wade. This stalker is sinister and relentless in pursuit. Our first glimpse of this is when Wade is attacked and a member of Elite Bodyguards is nearly killed and left for dead. The bodyguard was a beautiful young woman who was mistaken by the stalker as competition for Wade. With a team member down, Olivia puts herself in place to complete Wade's protection detail. Wade is a noted psychiatrist and philanthropist and popular radio show host. He is also a handsome widower, giving him an extra appeal to his audience. Could the stalker be a regular caller to his radio show? As the stalker begins to unravel, Olivia and her team face danger at every turn. Keeping Wade and his young daughter safe when he wants to retain his independence proves challenging, especially as the stalker seems to keep pace with all of the team's strategies. Fast paced and full of surprises, Always Watching delivers five starts on the suspense chart. A well-developed plot with strong characters I believe this book will appeal to mystery lovers who like a little romance along with their suspense. Many thanks to Revell for the advance copy of this book for review. For more information on this and other books by Lynette Eason, check out her website where you will be Welcomed to the edge of your seat! A book can be focused on singular topics or have many and that is the case with Hannah's Choice by Jan Drexler. Hannah Yoder, our heroine, is a young Amish woman deeply committed to her faith. She and her family live along the Conestoga Creek where her ancestors settled soon after their arrival in America. Her Amish community has been shrinking in recent years and there are only a few families left in their district. Adam, her best friend since childhood is Mennonite. Her sister, Liesbet is tempted beyond her years to the English world outside the confines of her faith and family. She longs to marry an Englisher and live in a fine house in Philadelphia. Hannah's mother, Annalise, has been gripped by depression for many years after losing three small children to diphtheria. Hannah as the oldest daughter has taken on many responsibilities to keep the home running smoothly. Wise beyond her years, Hannah knows that marriage to a man who is not Amish would be unequally yoked. Her father is determined to move west to Indiana where a new community of Amish people will settle. His love for his family and desire to keep them protected from the outside world is stronger than his ties to his ancestral home in Pennsylvania. As plans develop for the Yoder family to migrate to Indiana the group for the wagon train grew as others become determined to start anew in the Indiana wilderness. Josef Bender a handsome Amish man from a neighboring community set on making the journey, takes more than a passing interest in Hannah. The more Hannah sees Josef, she is torn between him and Adam. She is also determined not to go with the family to Indiana, hoping they will change their minds and remain where they belong at Conestoga Creek. I like this story for the setting of 1842 in Lancaster County Pennsylvania. The time is ripe for an important time in the Abolitionist Movement. While Pennsylvania is not a slave state, bounty hunters felt free to come searching for escaped slaves on their way to freedom in Canada. Adam Metzler helped many slaves to freedom, all the while exposing himself, his family and Hannah to danger. Up until the end of the book I wasn't sure if Hannah would go to Indiana or stay in Pennsylvania. Would she marry Adam or Josef? Would Liesbet marry and move to Philadelphia or remain with her Amish faith? Many thanks to Revell for the opportunity to read Hannah's Choice and the introduction to Jan Drexler's writing. I plan to look for more of her work. What makes a blogger take a break from blogging? Life happens and sometimes for whatever reason it just gets hard to write. I had some health issues and took some time off for surgery and recovery. That didn't keep me from reading a lot of good books though! I should really sit down and count how many books I read while convalescing from my surgery. When I was too tired to read my wonderful sister-in-law sent me a gift certificate for Audible. The card arrived on a day I felt particularly tired and worn out so was particularly welcome. I found myself enjoying this thoughtful gesture as if she had given me the moon. I managed to review just one book this year: Undaunted Hope by Jody Hedlund. I enjoyed this book very much during my recovery and really look forward to reading many more this year. My goal this year is to log each book I read, whether for review or just for the sake of readings sake! Mardell has read 96 books toward their goal of 150 books.